"Life in Color, "The World's Largest Paint Party," began in 2006 on college campuses in Florida. 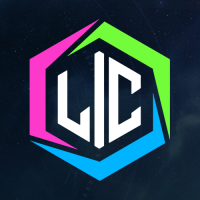 Founded by Sebastian Solano, Paul Campbell, Lukasz Tracz and Patryk Tracz, LIFE IN COLOR, is a production and promotions company that stages more than 200 concerts annually in the United States and Internationally. From a small college event to a world-renowned live concert, LIFE IN COLOR transports fans into the ultimate mind blowing, head bumping, and heart pumping experience! Featuring the worlds biggest DJs, soaring aerial acts, stilt walkers, contortionists, and fire shows - leading up to the ever so famous PAINT BLAST!" The 2018 Manchester event featured Knife Party, Sigma, Chuckie, Ookay, Kriss Kross Amsterdam, Blasterjaxx and more.